Friday was officially my last day of the Advocare 24 day challenge. I was not doing the challenge to lose weight although I would not have complained if my body composition improved. But I have yet to do an assessment to see if there were any changes. Honestly though, there was a good week during the challenge that I did not eat as well as I should or could have, so I think I could have lost a couple pounds if I had eaten better. You will get what you put into the challenge; the 24 day challenge guide offers suggestions as to what to eat every day of the challenge, and if you follow it closely, you will get some great results. What I love about the challenge is that it is easy enough to do any time; it doesn’t interfere with training or workouts at all. Unlike some cleanses or resets, the Advocare 24 day challenge is a really good stepping stone towards living a healthier lifestyle, so I think it’s a great way for anyone at any fitness level to get a good kick start to lose weight or break past a physical or mental plateau. It is safe to cycle the challenge once every 90 days, and I have every intention of doing it again! 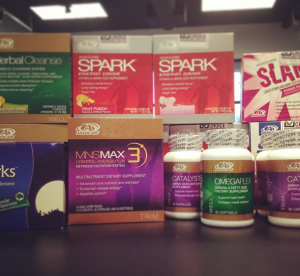 Next Post:New products from Advocare!